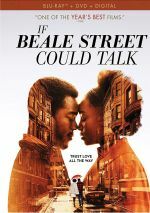 For his follow-up to 2016’s Oscar-winning Moonlight, director Barry Jenkins returns for 2018’s If Beale Street Could Talk. Based on the 1974 James Baldwin novel, the film takes us to Harlem circa the early 1970s. 22-year-old Fonny (Stephan James) winds up in jail for a sexual assault crime he didn’t commit. This disrupts his plans to marry 19-year-old Tish (KiKi Layne) and form a home. In addition, Tish learns that she’s pregnant while Fonny sits in jail. The pair struggle to free Fonny and keep their relationship alive. Until the day I die, I’ll think Manchester By the Sea deserved the Best Picture Oscar for 2016. That said, Moonlight offered a worthy winner, one that became a suitable choice, even if it wasn’t mine. Although I liked Moonlight, I felt little enthusiasm to see Beale. Trailers basically sold it as a mix of broad melodrama and plot-light romance, factors that made it less than appealing to me. Now that I’ve seen Beale, I can’t claim my impulses went awry. More of a formless tone poem than a distinctive narrative, the movie lacks a whole lot to guide its way. A tale like this can work as text, as that format allows for a more lyrical sensibility. The novel can compensate for the loose character definition and absence of strong plot with creative wordplay and other techniques. To some degree, a movie can follow those rules as well, albeit in a more concretely visual way. Beale comes with the chance to shine as a thematic exploration more than a tight narrative. Unfortunately, as depicted here, Beale feels far too slow and free from much to entice the viewer. It tends to meander through its less than involving characters without a lot of drama on display. 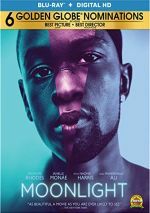 To some degree, Moonlight came with a similarly loose construction, but it managed more drama with its division into three separate acts/stages of the character’s life. We felt progression and the material captured our interest. In the case of Beale, though, Jenkins gets his Terrence Malick on. Much more concerned with lush visuals than anything else, Jenkins creates a fairly attractive project but not one with a consistent sense of drama. Every once in a while, Jenkins remembers he needs to tell a story, and those moments show bursts of energy. However, they veer toward melodrama and come out of nowhere so much of the time that they almost become a distraction. I respect the art and ambition of Beale but I can’t claim to much enjoy the final product. A little too slow and undefined for my liking, the movie offers a tale that doesn’t translate well to the screen. If Beale Street Could Talk appears in an aspect ratio of approximately 2.00:1 on this Blu-ray Disc. This became a solid presentation. Beale went with a palette that reflected a lot of amber and teal. Within the movie’s color design, the tones seemed solid. As for the DTS-HD MA 5.1 mix of Beale, it showed scope typical of the character drama soundfield. This meant a largely limited soundscape without much to make it stand out from the crowd. Exteriors added a bit of immersiveness, but those instances remained fairly modest. Most of the flick came with a lot of ambience and not much else. Music used the channels best. Among extras, we find an audio commentary with writer/director Barry Jenkins. He brings a running, screen-specific look at the source and its adaptation, cast and performances, sets and locations, music and audio, editing, photography and related domains. Jenkins provides a pretty terrific discussion of the film. He covers a wide array of topics and remains invested and informative from start to finish, so expect a strong chat. Nine Deleted Scenes span a total of 22 minutes, 17 seconds. These tend to focus on added character beats as well as an alternate ending. They’re decent but not usually especially impactful. We can view the scenes with or without commentary from Jenkins. He gives us thoughts about the segments and why he cut them in this useful commentary. A featurette called Poetry in Motion runs 27 minutes, 35 seconds. The program comes with info from Jenkins, producers Adele Romanski, Jeremy Kleiner, Sara Murphy and Dede Gardner, makeup department head Doniella Davy, costume designer Caroline Eselin-Schaefer, hair department head Kenneth Walker, production designer Mark Friedberg, and actors Colman Domingo, Regina King, Stephan James, KiKi Layne, Teyonnah Parris, Ed Skrein, Finn Wittrock and Brian Tyree Henry. “Poetry” looks at story, source and characters, cast and performances, hair, makeup and costumes, sets and locations, music, and general thoughts. This becomes a fairly satisfying overview of various production areas. In addition to the film’s trailer, we find a Gallery. It shows 12 shots from the movie and becomes a forgettable compilation. A second disc provides a DVD copy of Beale. It boasts the same extras as the Blu-ray. As a film, If Beale Street Could Talk shows ambition. However, the end result comes across as too loose and without the narrative impact it needs. The Blu-ray brings very good picture as well as positive audio and a useful set of supplements. I wanted to like Beale but it never quite grabbed me.